Change your dog's Doggles lens color for fun or function! 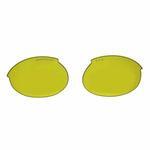 Lenses are designed for the ILS style Doggles available in 5 sizes (XS - XL). If your original lenses get boring or worn out, replace them easily with these cool brown lenses! Brown colored lenses are popular among hunters because they provide enhanced contrast when looking at birds and clay targets against the sky. Lenses are easy to change out. Available in multiple colors! 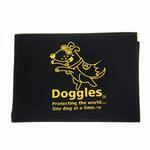 Doggles help dogs who need eye protection from the sun's harmful rays, flying debris, wind, rocks, or bugs. 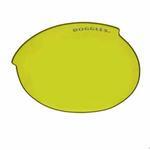 Doggles - Replacement ILS Lens Set - Yellow Customer Photos - Send us your photo! We bought Bailey the yellow replacement lens to wear to the Oakland A's Bark @ the Park game (the players wear yellow sunglasses) She won THE best dressed dog in 2016 ... The cute Doggles helped pull her outfit off!! She is 10 years old & has been serving her local community as a therapy dog (visiting rest homes & reading with children) for over 5 years. She has also featured on the Oakland A's MLB Bark @ the Park TV commercial wearing her Doggles! I used to buy all my dogs clothes at petsmart, until I couldn't find her size anymore. So I searched the web and found this site. I couldn't be more happier, the clothes fit perfect and the price is great. This will be where I shop from now on.